Lawyers and clients resolve disputes all the time, usually with an exchange of money and a release. Of course, almost any time money changes hands, there are tax issues as well, usually for both sides. Most lawyers correctly tell their clients that they are not tax advisers and that it is worth seeing a tax lawyer or accountant to get straight on the tax implications. Yet after that disclaimer, some lawyers do succumb to the temptation to offer some free tax advice. For example, the lawyer might say, ‘‘I’m not a tax lawyer, but don’t worry, all these damages are nontaxable.’’ But whether you are a lawyer or a client, a basic grounding in these issues will help you with your own taxes and possibly with col- leagues’ taxes, too. The tax issues come up in several surprising ways. Your car was rear-ended while stopped at a red light. Your contractor did shoddy work on your condominium. You were unfairly fired. Someone did you wrong, and now you’re collecting a settlement payment or judgment. The first question in any of those situations is whether it is taxable income. Usually, the answer is yes. Of course, the tax treatment can vary enormously depending on how you were damaged, how the case was resolved, how the checks and IRS Forms 1099 were issued, and other variables. Here are 10 rules that lawyers and clients should know about the taxation of settlements. The same tax rules apply whether you are paid to settle a case or you win a lawsuit judgment, or even if your dispute reached only the letter-writing phase. Despite the similarities, however, you’ll usually have more flexibility to reduce taxes if a case settles rather than goes to judgment. If you are audited, you’ll need to show what the case was about and what you were seeking in your claims. Consider showing documents such as the settlement agreement, the complaint (or demand better), the checks issued to resolve the case, and IRS Forms 1099 (or W-2). You can affect how your recovery is taxed by how you deal with these issues. 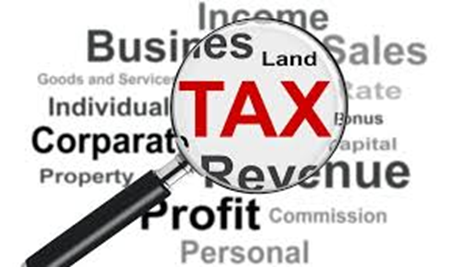 Settlements and judgments are taxed according to the item for which the plaintiff was seeking recovery (the origin of the claim). If you’re suing a competing business for lost profits, a settlement will be lost profits and taxed as ordinary income. If you are laid off at work and sue for discrimination, seeking wages and severance, you’ll be taxed as receiving wages. In fact, your former employer will probably withhold income and employment taxes on all (or part of) your settlement. That is so even if you no longer work there, even if you quit or were fired years ago. On the other hand, if you sue for harm to your condominium by a negligent building contractor, your damages usually will not be income. This is an important rule and one that causes almost unending confusion with lawyers and their clients. If you sue for personal physical injuries like a slip-and-fall or car accident, your compensatory damages should be tax free. That may seem odd because you may be seeking lost wages because you couldn’t work after your injuries. But a specific section of the tax code — section 104 — shields damages for personal physical injuries and physical sickness. Note the ‘‘physical’’ requirement. Before 1996, ‘‘personal’’ injury dam- ages were tax free. That meant emotional distress, defamation, and many other legal injuries also produced tax-free recoveries. That changed in 1996. Since then, your injury must be physical to give rise to tax-free money. Unfortunately, neither the IRS nor Congress has made clear what that means. The IRS has generally said that you must have visible harm (cuts or bruises) for your injuries to be physical. This observable bodily harm standard generally means that if you sue for intentional infliction of emotional distress, your recovery is taxed. If you sue your employer for sexual harassment involving rude comments or even fondling, that is not physical enough for the IRS. But some courts have disagreed. The Tax Court in particular has allowed some employment lawsuits complete or partial tax-free treatment, when the employee had physical sickness or the exacerbation of a preexisting illness from the employer’s conduct. Thus, standards are getting a little easier. How- ever, taxpayers routinely argue in U.S. Tax Court that their damages are sufficiently physical to be tax free, and unfortunately, the IRS usually wins these cases. In many cases, a tax-savvy settlement agreement could have improved the plaintiff’s tax chances. The tax law draws a distinction between money you receive for physical symptoms of emotional distress (like headaches and stomachaches) and money you receive for physical injuries or sickness. Here again, these lines are not clear. For example, if in settling an employment dispute you receive $50,000 extra because your employer gave you an ulcer, is the ulcer physical or is it merely a symptom of your emotional distress? Many plaintiffs end up taking aggressive positions on their tax returns, claiming that damages are tax free. But that can be a losing battle if the defendant issues an IRS Form 1099 for the entire settlement. That means it can behoove you to try to get an agreement with the defendant about the tax issues. There’s nothing improper about doing this. There are wide variations in tax reporting and the multiple players often involved in litigation (parties, their insurance companies, and their attorneys). Thus, trying to nail all this down in the settlement agreement is a good idea. You may have to pay for outside tax experts, but you’ll usually save considerable money later by spending a little at this critical moment. Otherwise, you might end up surprised with Forms 1099 you receive the year after your case settles. At that point, you will not have a choice about reporting the payments on your tax return. Even if your injuries are purely emotional, payments for medical expenses are tax free, and what constitutes medical expenses is surprisingly liberal. For example, payments to a psychiatrist or counselor qualify, as do payments to a chiropractor or physical therapist. Many nontraditional treatments count, too. However, if you have previously deducted the medical expenses and are reimbursed when your suit settles in a subsequent year, you may have to pay tax on these items. Blame the ‘‘tax benefit rule.’’ It says that if you previously claimed a deduction for an amount that produced a tax benefit to you (meaning it reduced the amount of tax you paid), you must pay tax on that amount if you recover it in a subsequent year. The opposite is also true. If you deducted an amount in a previous year and that deduction produced no tax benefit to you, then you can exclude the recovery of that amount in a later year from your gross income. Most legal disputes involve multiple issues. You might claim that the defendant kept your laptop, frittered away your trust fund, undercompensated you, or failed to reimburse you for a business trip or other items. In fact, even if your dispute relates to one course of conduct, there’s a good chance the total settlement amount will involve several types of consideration. It is usually best for plaintiff and defendant to try to agree on what is being paid and its tax treatment. Those agreements aren’t binding on the IRS or the courts in later tax disputes, but they are rarely ignored. As a practical matter, what the parties put down in the agreement is often followed. And in the real world, there are usually multiple categories of damages. For all those reasons, it is more realistic — and more likely to be respected by the IRS and other tax authorities — to divide the total and allocate it across multiple categories. If you are settling an employment suit, there might be some wages (with withholding of taxes and reported on a Form W-2), some non-wage emotional distress damages (tax- able but not wages, so reported on a Form 1099), some reimbursed business expenses (usually non- taxable, unless the employee had deducted them), some pension or fringe benefit payments (usually nontaxable), and so on. There may even be some payments allocable to personal physical injuries or physical sickness (nontaxable, so no Form 1099), although this subject is controversial (see discussion above). Apart from the tax rate preference, your tax basis may be relevant, too. This is generally your original purchase price, increased by any improvements you’ve made, and decreased by depreciation, if any. In some cases, your settlement may be treated as a recovery of basis, not income. A good example would be harm to a capital asset, such as your house or your factory. If the defendant harmed it and you collect damages, you may be able to reduce your basis rather than reporting gain. Some settlements are treated like sales, so again, you may be able to claim your basis. In many circumstances, the ordinary income versus capital distinction can be raised, so be sensitive to it. For example, some patent cases can produce capital gain, not ordinary income. The tax rate spread can be nearly 20 percent. Whether you pay your attorney by the hour or by contingent fee, legal fees will affect your net recovery and your taxes. If you are the plaintiff and use a contingent fee lawyer, typically you will be treated (for tax purposes) as receiving 100 percent of the money recovered by you and your attorney. This is so even if the defendant pays the contingent fee directly to your lawyer. If your case is fully nontaxable (say, an auto accident in which you are physically injured), that should cause no tax problems. But if your recovery is taxable, the type of deduction you can claim for the legal fees can vary materially. This trap occurs frequently. Say you settle a suit for intentional infliction of emotional distress for $100,000, and your lawyer keeps 40 percent, or $40,000. You might think that you would have $60,000 of income. Instead, you will have $100,000 of income, followed by a $40,000 miscellaneous itemized deduction. That means you will be subject to numerous limitations that can whittle your deduction down to nothing. For alternative minimum tax purposes, you get no tax deduction for the fees. That is why many clients say they are paying tax on money (the lawyers’ fees) that they never received. Notably, not all lawyers’ fees face this harsh tax treatment. If the lawsuit concerns the plaintiffs’ trade or business, the legal fees are a business expense. Those legal fees are above the line (a better deduction). Moreover, if your case involves claims against your employer, or involves specific whistleblower claims, there is an above-the-line deduction for legal fees. Punitive damages and interest are always tax- able, even if your injuries are 100 percent physical. Say you are injured in a car crash and get $50,000 in compensatory damages and $5 million in punitive damages. The $50,000 is tax free, but the $5 million is fully taxable. What’s more, you can have trouble deducting your attorney fees. The same occurs with interest. You might receive a tax-free settlement or judgment, but pre-judgment or post-judgment interest is always taxable. As with punitive damages, taxable interest can produce attorney fee deduction problems. These rules can make it more attractive (from a tax viewpoint) to settle your case rather than have it go to judgment. Suppose that you were in a car crash and are about to receive $50,000 in compensatory (tax-free) damages, plus $5 million in punitive damages. Can you settle for $2 million that is all tax free? It depends, among other things, on whether the judgment is final or on appeal. It also depends on what issues are being appealed. The facts and procedural posture of your case are important. In some cases, though, you can be much better off, from a tax viewpoint, taking less money. Plaintiffs are generally much more worried about tax planning than defendants. Nevertheless, con- sider the defense’s perspective, too. A defendant paying a settlement or judgment will always want to deduct it. If the defendant is engaged in a trade or business, that will rarely be questioned because litigation is a cost of doing business. Even punitive damages are tax deductible by businesses. Only some government fines cannot be deducted. And even then, defendants can some- times find a way if the fine is compensatory or remedial. Despite these broad deduction rules for businesses, not everyone is so lucky. If the suit is related to investments, the settlement or judgment may be deductible only against investment income or subject to limits. If the lawsuit is purely personal, the defendant may get no deduction at all. In some cases, that can extend to attorney fees, too. Defendants can also run up against questions about whether an amount can be immediately deducted or must be capitalized. For example, if a buyer and seller of real estate are embroiled in a dispute, a settlement payment may need to be treated as part of the purchase price and capitalized, not deducted. Nearly every piece of litigation eventually generates tax issues. It can be tempting to just end your dispute and let the tax chips fall where they may. But whether you are a plaintiff, a defendant, or counsel, that can be a mistake. Originally published in WOODCRAFT Tax Notestm. Copyright 2017 Robert W. Wood. All rights reserved. is not intended as legal advice and cannot be relied on for any purpose without the services of a qualified professional.